Dehradun, May 18: Looking at the wreath of devotees in Kedarnath, time of observation has been extended in the afternoon. For the first time after the calamity of 2013, such a large number of passengers are reaching Kedarnath. Mangesh Ghildiyal, District Magistrate of Rudraprayag, said that after watching the number of passengers, Badrinath-Kedar in the afternoon, after the talk of the temple committee, the time of Darshan has been extended for more than one and a half hours. 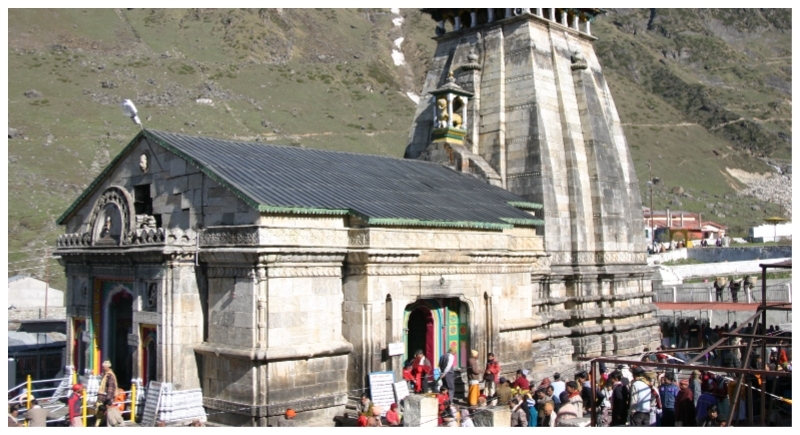 Usually, the doors of Kedarnath Temple are opened at 6 in the morning till 3 pm and kept closed for two hours for Bhog and Shringar and again reopened at 5 pm till 8 o’clock. This year the situation is slightly different. The doors of Kedarnath were opened on April 29 last month and on the very day, 25 thousand pilgrims arrived here on the first day. Since then, more than two lakh devotees have reached Kedarnath till now. While in the year 2017, one lakh 70 thousand pilgrims had come in this period. In view of this, the administration has talked to the temple committee and has increased the time of observation by about one and a half hours. Now the devotees are having Darshan till 4 pm. According to the DM Kedarnath, there is a provision of accommodation for seven thousand passengers per day. In such a situation, the administration is trying to ensure that only limited devotees stay for the rest of the night.